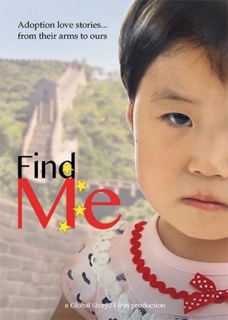 Kim Zimmerman and her family are featured in the adoption documentary Find Me which follows three families on their journey to adopt from China. Kim blogs about her family here. 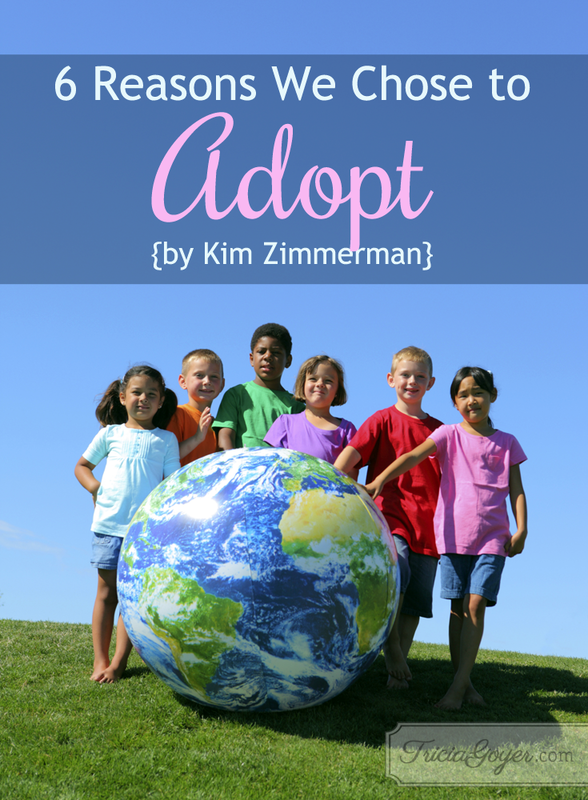 Adoption was not a “PLAN B.” Instead, adopting was a continuum of Plan A! 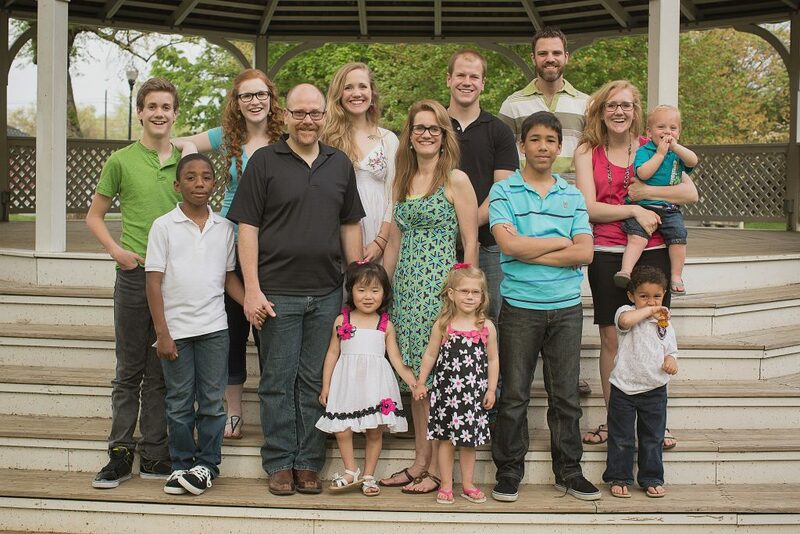 When we stepped into the world of adoption, our family was already considered a “big” family in America today. With three daughters and two sons, we had long since surpassed what is considered to some as the “ideal family” consisting of one son and one daughter. Some might ask, then “WHY?” Why adopt, when you already have a house full of children? Our family currently includes 8 children. Some of our children are adults, and our youngest just entered kindergarten. Our two youngest sons we began fostering in 2004, and formally adopted in 2006. Our youngest daughter was adopted in 2013 from the beautiful country of China. For our family, there were multiple reasons we adopted. However, before explaining those reasons, it’s important to note some things that are not the reasons we chose adoption for our family. We did not feel “unfulfilled” with the number of children we had. We are not interested in numbers. The reasons for adopting are far from any feelings of un-fulfillment. We are not scared of the empty nest. Sounds silly I know, but perhaps some might think that we have this internal need to be nurturers and/or caregivers. While to be these things sound extremely noble and Godly, there are days we want nothing more than to just be alone. And when God gives us times of respite, we cherish them immensely. So for us this is definitely the opposite of “maximizing our comforts”. The long answer for us is indeed a story of the sanctifying work of God in our lives. We want to be followers of Jesus. Throughout the Bible God tells us many times to “defend the weak and the fatherless,” “care for the orphan” “when you’ve helped the least of these, you’ve done it to me.” What does that mean for a Christian family who wants to live out these words Christ speaks about? For us, it meant literally caring for orphans! Adoption! Not a plan B for our family but a continuum of plan A. Some other reasons as to why we added to our family through adoption are listed below, and are shared by many other Christian adoptive parents we have come into contact with. Adopting a child is a clear way for us to obey God’s call to care for the Orphan (James 1:27). We are not disillusioned in thinking that there are only pros and no cons to adoption. We understand the special needs both physically and emotionally that will come with adopting a child. Every child is different, the hard place each comes from is different, and therefore every adoption is unique. There will be more emotional and financial stress. We will have fewer freedoms. And the most concerning is the extra strain this will bring to our existing children and extended family. However, we believe the pros far outweigh the cons in light of eternity. We are trusting God to see us and our family through these challenges. How God led us to our youngest daughter is totally outside the box. Her adoption story is one of three stories filmed in a profoundly touching documentary recently released called “Find Me.” It has been and continues to be our desire that God will be glorified through this film and that it will help many, many more children bust out of orphanage walls and into their families’ living rooms. On Orphan Sunday, Christians stand for the orphan. We are a people called to defend the fatherless…to care for the child that has no family…to visit orphans in their distress. Each event is locally-led. Sermons and small groups, concerts and prayer gatherings, shared meals and youth activities—each rousing believers with God’s call to care for the orphan, and what we can do in response. From many sources, one voice. Each November, thousands of events will echo across America and around the globe, all sharing a single goal: that God’s great love for the orphan will find echo in our lives as well. Orphan Sunday is your opportunity to rouse church, community and friends to God’s call to care for the orphan. Hi! My name is Madison Brown and I was wondering if I could get in contact with you and talk about the process and emotions of adopting your child! I am researching for an English class the topic of adoption and would love to have a personal story tied in to my paper! My email is madi19981606@gmail.com .